By the 1920’s, the good times in Snyder were starting to unravel for the Rademacher family. As we saw in the last installment, farm prices plummeted. Joe had invested profits in the cattle business and his investments disappeared practically overnight. They may have mortgaged the farm to keep things going (based on a cryptic reference to a deed on Morgan County’s website). Their young daughter Mary died unexpectedly in 1924. And according to family legend, oldest son Ted was starting to run around with the local girls, none of whom were Catholic. Meanwhile, Joe’s best friend Arnold Peter had been struggling in Keota as well. Arnold and his wife Tillie (Annie Rademacher’s sister) lived at Keota along with Tille’s parents Joseph and Ottilia Burkey. Poor prices had affected their survival, and they too were affected by personal loss. Joseph and Ottilia’s youngest son Gerard had succumbed to influenza in 1919. In 1921, Arnold traveled up and down the front range of Colorado, putting in his application at every one of the sugar beet factories. He got hired on by the Longmont factory for the fall harvest. He left his family behind to see if he could make a go of it. Things went well enough that he sent for his family shortly before Christmas of 1921. Joseph and Ottilia came too. I’m not quite sure of the timing and sequence of the move, but Joseph and Ottilia came with horse and buggy, and Joseph walked alongside with their cows. 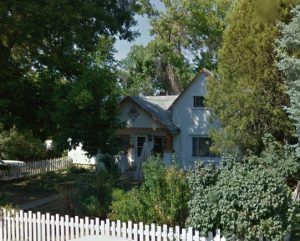 The entire extended family (Peters and Burkeys) settled into a house on Marshall Street in Longmont, which was then outside of the city limits. There is a legend, unsubstantiated, that a portion of the house on Marshall Street was hauled in from either Keota or Crete (Nebraska). Him [Ted] and a hired man drove two teams of horses with wagons loaded with farm machinery from Snyder to Longmont. It took several days. They would stop at night by the railroad loading corrals to feed their horses, and rest them. They would sleep near their wagons. Uncle Ted’s Grandma and Grandpa Burkey kept house for him for a year. Then the next year Grandpa [Joe] Rademacher and my dad moved the whole family to a farm near Uncle Ted’s. Again, I’m not sure about the timing of all of this but I believe that Ted made the move to Longmont in 1926 at the age of 19 and ended up on a farm they called “Highland Switch”. How clever of Joe and Annie to arrange for Annie’s parents to live with Ted and keep him out of trouble! In our next and final installment, I’ll share with you the surprising coincidence that led us to meet the hired man that drove with Ted from Snyder to Longmont. 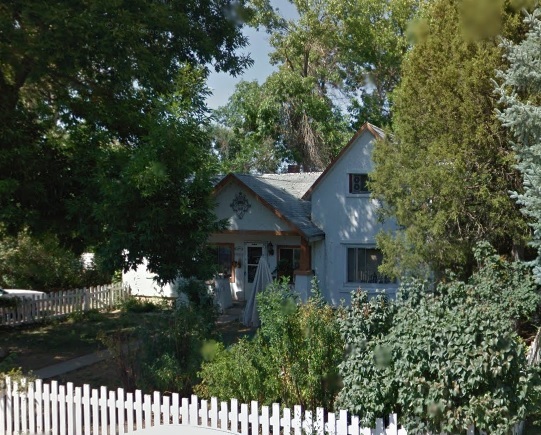 I think Aunt Tillie (and Hattie) lived there until they passed away. I remember visiting them in the 60’s and early 70’s until I left for work in Texas.